Home » Party Time » Candy Canes For the Christmas Table! Candy Canes For the Christmas Table! Posted by Sarah on Dec 18, 2010 in Party Time | Comments Off on Candy Canes For the Christmas Table! There aren’t too many things that evoke the image of Christmas more than candy canes. Here is a round up of some of the Web’s sweetest ideas for putting this candy theme on your Christmas Table. Candy Cane Hearts from Toyna Staab at MakesandTakes.com , Cupcake Toppers at HostesswiththeMostess.com, “Santa Hat” Cocktail created by Jeanne Benedict, Candy Cane Milkshakes, Mod Candy Cane glassware, Cupcake Toppers from Sheila’s Dots and Daisies , Candy Cane Stripe Water Bottle Labels, Candy Cane Stripe Christmas Crackers from SurlaTable.com, Candy Cane Candles from Penacheboutique.com. 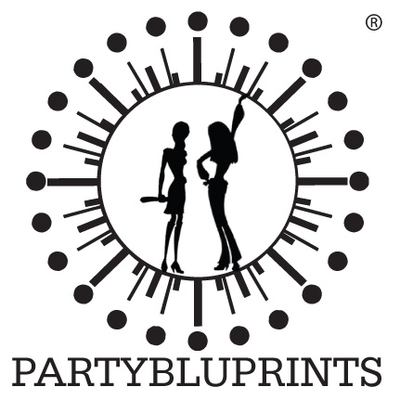 Brought to you by the amazing women at PartyBluPrints!